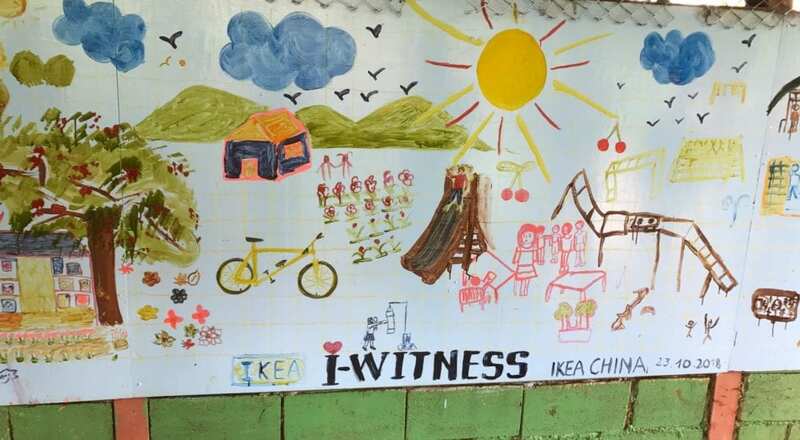 IKEA CHINA BUSINESS UNIT TRIP TO THAILAND Written by Rinnah Flores. Joining this trip, I felt a sense of excitement and anxiety. How will we feel when we go to the refugee camps? Will we say or do the right things? 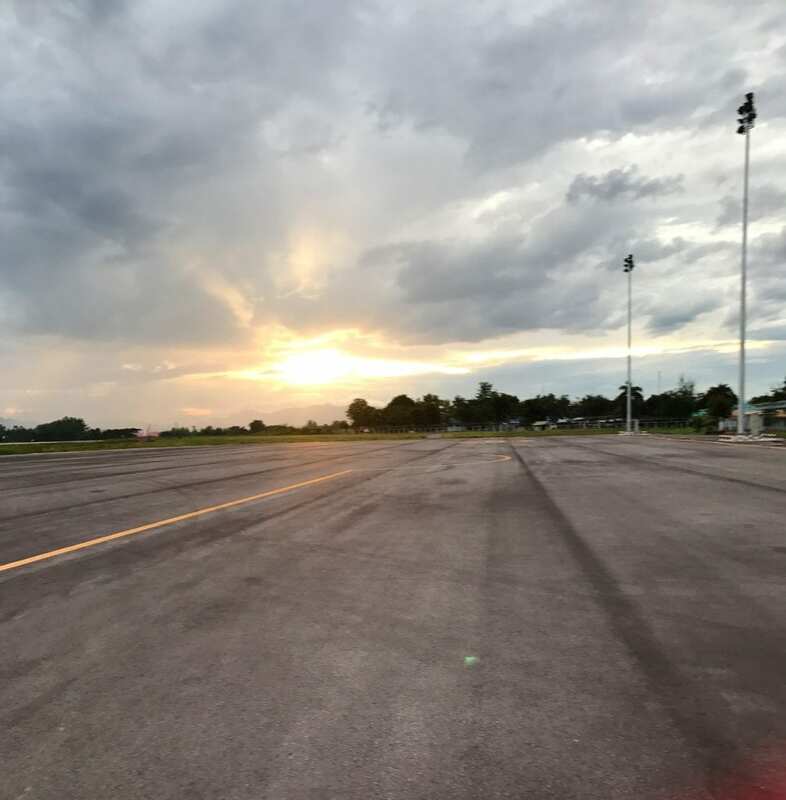 But after landing in the small airport of Mae Sot, Thailand, when the sun was just setting, I felt calm and a sense of familiarity with this town that is not far away from where I come from. Sunset just after arriving in Mae Sot. Photo by Rinnah Flores. On the first day, after a two-hour trip on a long, winding road (1,219 curves to exact), we met the Humanity & Inclusion (HI) team and some very eager children, who arrived early to greet all of us. There was laughter and excitement when everyone started to introduce their names, using different actions. We had around 30 kids showing their dance moves and adults showing their karate kicks. It was even more hyped by playing background music to accompany our different actions. What fun it is to be like a kid again! “When I say, GT, you say, Yeah! (with fists in the air)”, Art chanted. Photo by Danica Huang. 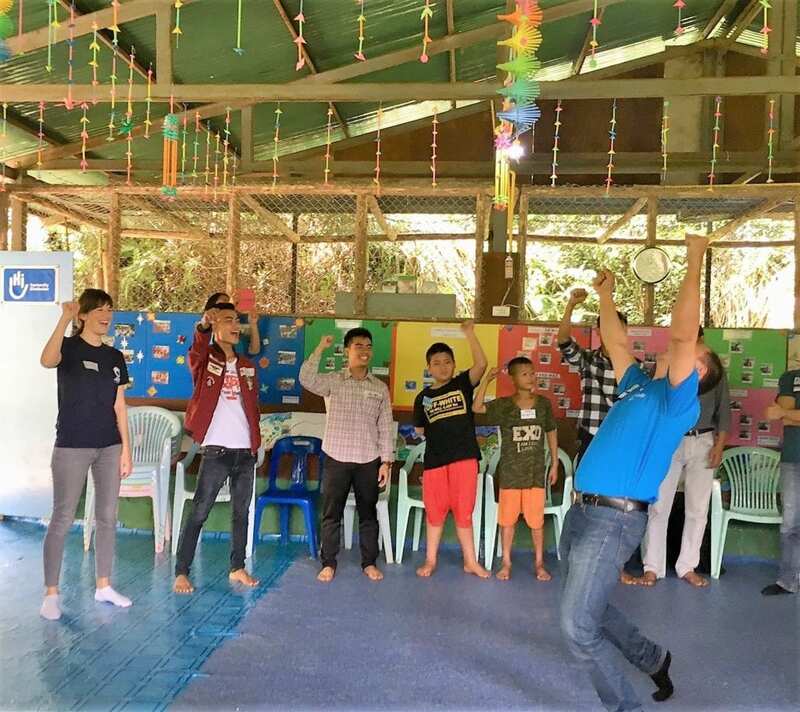 Our trip to Thailand was to see the project Growing Together funded by the IKEA Foundation and conducted by Handicap International. This project gives the most vulnerable refugee children the right to play and promotes early child development and child participation. 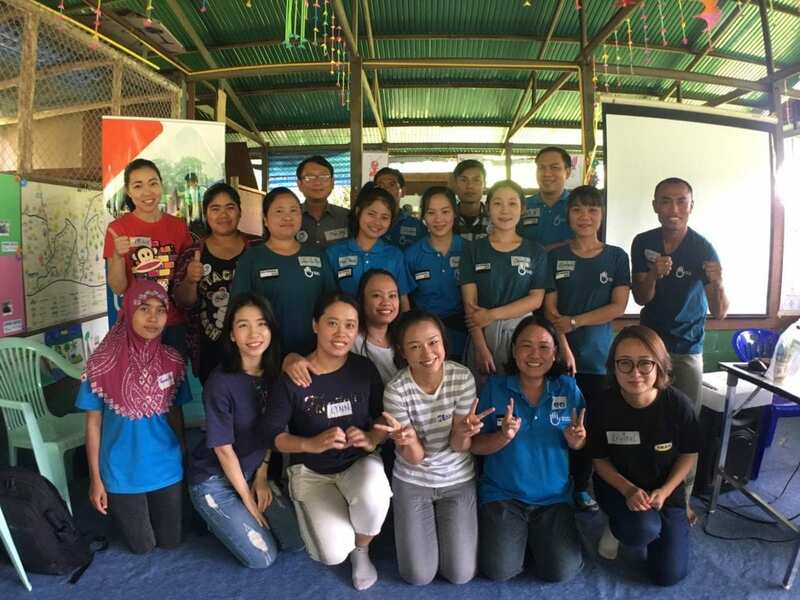 “Our goal is to create a safe and inclusive place where the children in this camp can be children,” said Diana Harnden-Camargo, HI regional project co-ordinator in Thailand. IWitness China team together with the HI Growing Together team. Photo by Growing Together staff. It was a fun-filled day with everyone smiling, laughing and enjoying each other’s company. We had a storytelling activity where each group covers different topics and the kids played their roles very well. 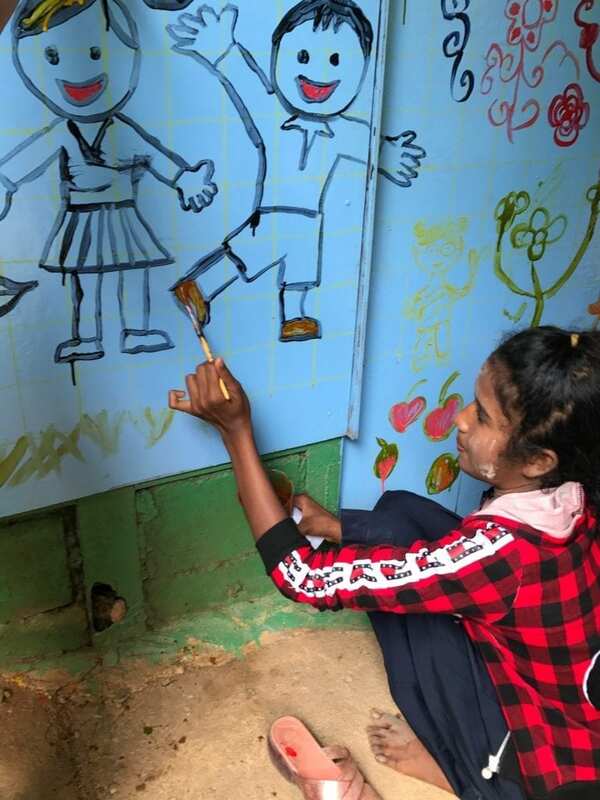 A painting exercise was also done in the afternoon where it will be permanently be seen by the children every time they pass by the Growing Together office. I realised how much fun it is to paint and see also how the kids were enjoying creating their own art for the wall. Little girl paints wall during the painting exercise. Photo by Rinnah Flores. 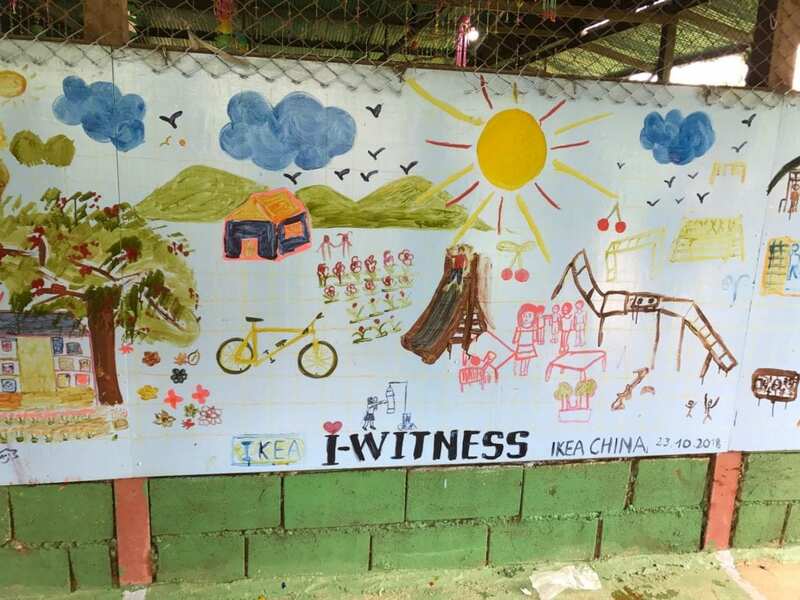 Being from a mountainous place in the Philippines, I see the challenges of getting to school and having a safe place to play when you live on the mountainside, just like in the camp. I am very happy to have witnessed our partner HI helping these children. I am looking forward to the next couple of days when we will get to know more about the kids, their families and the place they live in. Art created by the kids. Photo by Lynn Liu. I work as a Product Communicator for Free Range Center East Asia and I am based in Shanghai. My background is in communication and I have always been interested in sharing inspiring stories, not only about our products but also our work as a company, with co-workers and customers. When not working, I love to spend time with my 10-month-old son whose hobbies are similar to his Mummy's: reading books, singing and telling stories (though his stories only he can understand).